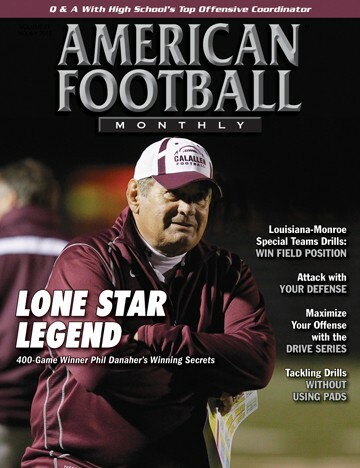 American Football Monthly - Shrug Off Predictability with Formation Adjustments, Not Checks – Offensive coaches, now more than ever, are using non-traditional sets to gain an advantage on the defense. Football has always been a game of numbers, leverage and angles. 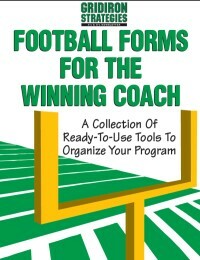 Offenses are constantly adjusting their formations and schemes to gain the advantage. You normally hear this in regards to the run game but, it applies to the pass game as well. Now more than ever, offensive coaches are using non-traditional sets (i.e., Bunch, Empty, Unbalanced) to gain the numeric or angle advantages on the defense. They also are taking advantage of another situation – predictability. If you are like most defensive coaches, you make a check to “non-traditional” sets. 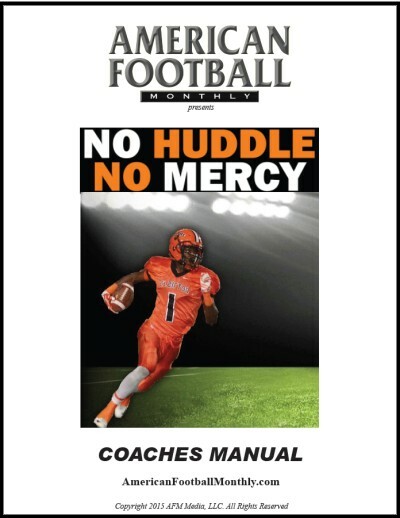 Your players know what to check – “Bunch check, Bunch check,” but now so does the offense. 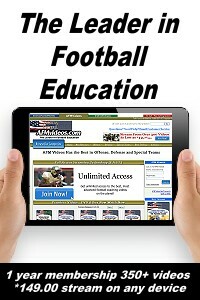 The offensive coordinator is now dissecting your check and selecting the plays to beat you! So how can you put your defense in positive alignments against a formation without becoming predictable? So you understand my thought process, we are an attacking 3-4 that can drop 8, bring 4 man pressure or blitz 5 or more players. 1. If possible, we adjust our alignments to formations – not our defensive call. We are on defense, but we don’t want to play “defensively” – If we have a blitz or pressure called – I want to run that if at all possible. A. 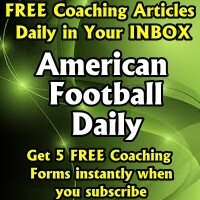 This allows your players to react in a consistent and reproducible manner to a formation without checking to the same call over and over again. Your alignment is predictable, not your defensive call. B. This is actually easier for your players than making an overall check and playing a totally different defense. It teaches them how to align and then let them play your defensive call. C. Your options are “playbook” deep instead of “check” thin! As an example, several years ago, I was coaching the DBs for a 4-3 defense. We checked to the same front (4-3 – Over) and coverage (cover 2, with two man on the backside) to bunch every snap. It was easy for our kids to learn which is great, but cancelled out all of our blitzes and forced us to play cover 2. By game seven, everyone we played had a little twist on how to exploit us. That is, verticals out of the bunch or high/lowing the perimeter or even a crack with a tailback swing weak into our two man scheme. Today we align outside shade on the point man in a two high look to start. 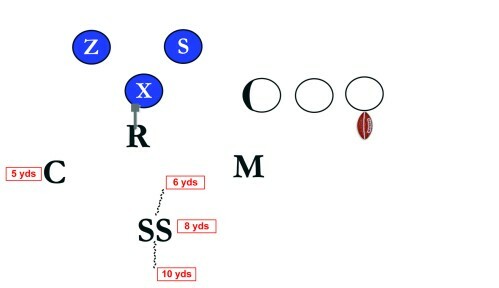 The same as we did in the 4-3 defense, but we slant or angle strong or weak, blitz inside or outside, play zone or man, 1 high, 2 high, or whatever we want. Our athletes know how to “Adjust our Alignments” without changing our initial call (Diagrams 1 and 2). Diagram 1: Tight Bunch - We can keep any of our calls on and just have a base alignment to a tight bunch. 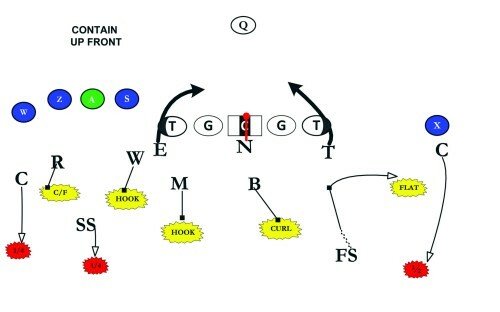 Diagram 2: Wide Bunch - It is the same thing for a wide bunch (base alignment) but inside leverage by the OLB. You can still rotate the SS down and play one high (man or cover 3) or two high (cover 4 or 2). A dozen years ago I was coaching in the secondary at an Ivy League school. We had one check to unbalanced and brought edge pressure and played “Zero” man coverage. It worked for the vast majority of the season until a team came in and ran 40 times. 40 times they got us in an “Unbalanced” check. Even worse, we were playing zero man. It didn’t take long for them to put their best WR on our worst cover guy. Nowadays, we simply bump the front to the unbalanced side (i.e., we “Balance up the Unbalanced”). But we execute the call from that “Bumped” look. The offense doesn’t know if we are blitzing our weak corner or moving to our 4-3 look. We are predictable in our adjustment, but not our defensive call. If we get an idea of what the offense is doing, we can now adjust our calls to stop them. We are not handcuffed by one pre-established front or coverage (Diagram 3). Diagram 3: Unbalanced – It is defined as two or less offensive players to one side of the center. This is a formational adjustment. In any of our Okie defenses, we will run the original call but identify the new center one man over toward the unbalanced side. The DL and LBs will align according to the “new” center. “Balance” the unbalanced and we then run the call. We have the OLB and CB identify the unbalanced, have the ILB bump the front and then execute the stunt, blitz and call accordingly. 2. Have an overall defense check for certain extreme situations. You know your defense best. If a certain formation puts you in a bind, identify it and plan for it. It is better to be a bit predictable, than completely out-leveraged or out-schemed. A. This is game-planned for the week or season. I weigh the positives and negatives of a rigid check and the practice / teach time it requires. If it is worth it, we install it. If not, we follow our rules. B. We try to limit these to one or two things. Most of these are either gadgetry or bizarre – “Garbage” checks or maybe a 4 x 1 empty set (See Diagrams 4, 5, and 6). 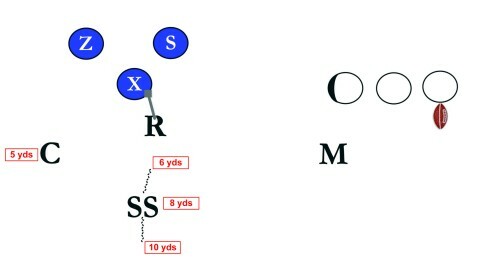 Diagram 4: 4 X 1 Empty Checks - This is a one high check that keeps LBs in the box and makes the QB move but while twisting to stop the QB draw. Diagram 5: 4 X 1 Empty checks - This is a two high check for less athletic QBs. We play a quarter, quarter, half scheme with an optional invert weak call to protect all the gaps and help the weak corner. Diagram 6: “Garbage” - This is a balanced alignment with a 5-man box. 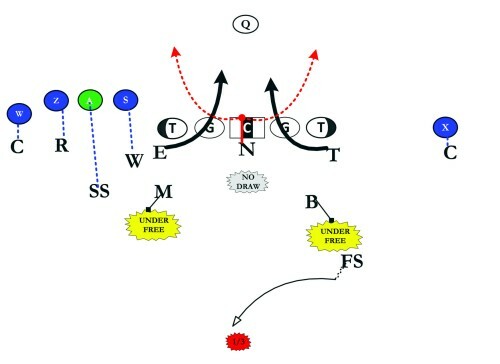 The OLBs are three-quarters of the way to their ‘cluster.’ We typically play cover 4 or cover 2. 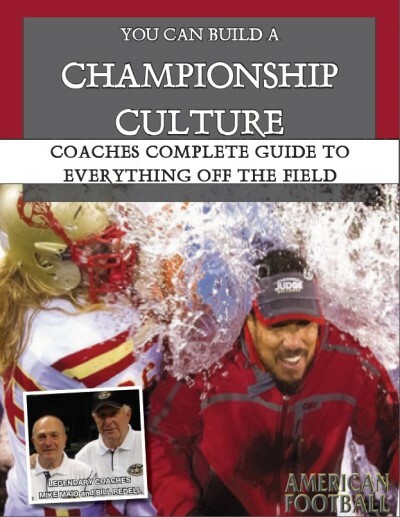 About the Author: Drew Christ begins his second season this fall as both defensive coordinator and defensive backs coach at Central Connecticut State. He has over 15 years of coaching on the collegiate level. Christ came from the University at Albany and has also coached at Swarthmore College and the University of Rochester. As a player at the University of Pennsylvania, Christ helped the Quakers to back-to-back Ivy League titles in 2002 and 2003.